907 sq ft; lot: 19602 sq ft - MLS# 1306126 Courtesy of RE/MAX Metro Realty, Inc.
Tucked away from the city lights on peaceful Treasure Island is your own private get-away. 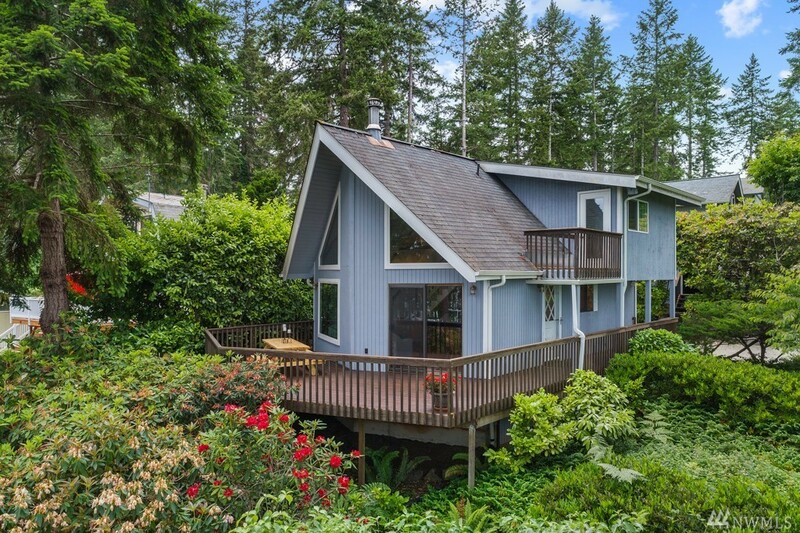 Spacious and light, this NW Contemporary has 3 decks and views of Case Inlet; a loft plus 2nd bedroom, 2 baths, full kitchen, a 525 sq ft finished studio/game room over 2 car garage. Native landscaping provides privacy, fruit and nut trees, bird watching, gardens and is a certified wildlife habitat. Community beaches for walking, swimming, boating, clamming, picnics. 2nd lot next door with gazebo included.